And microwave 2-3 minutes until melted. 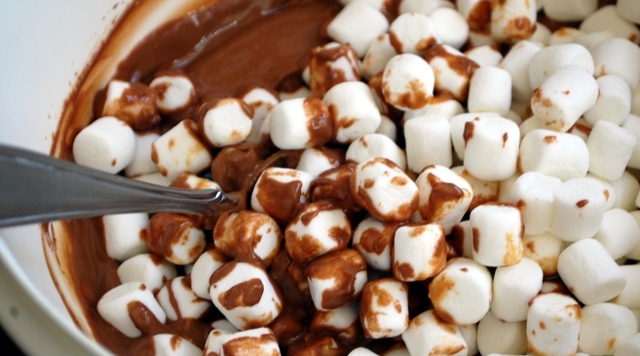 Fold in 3 cups of miniature marshmallows. 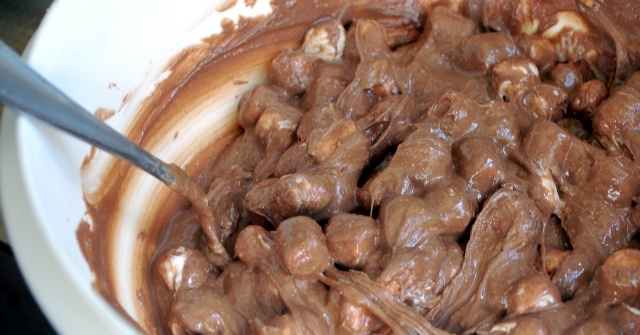 The more you stir it at this point, the more your marshmallows will melt and integrate with the rest. So if you want them distinct from your delicious treat, stir less. 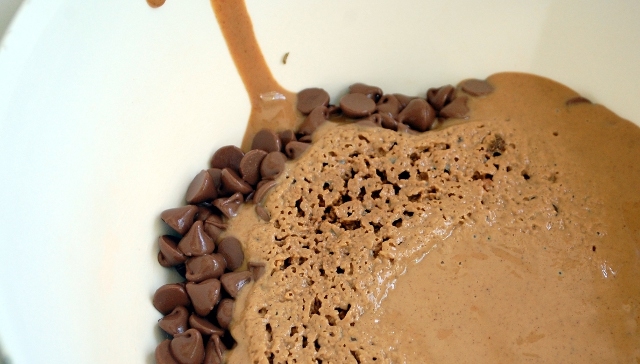 If you want them melted in, stir more. 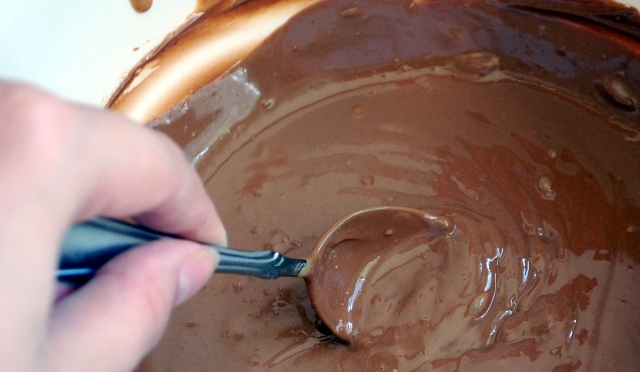 Line an 8×8″ pan with waxed paper or foil or really anything that will keep the chocolate and the pan from forming an impermeable seal. Scrape in the mixture and level it a bit. 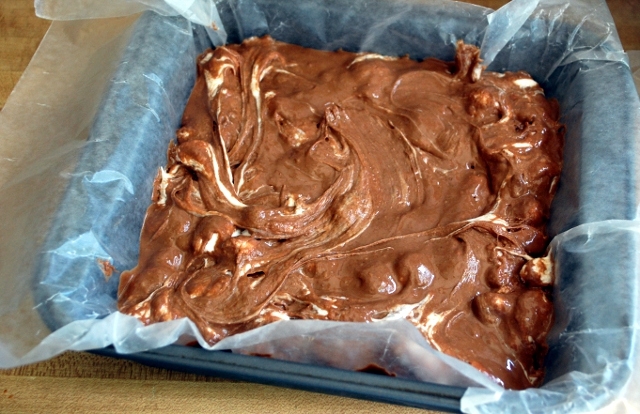 Stick it in the fridge or freezer until firm, then cut. 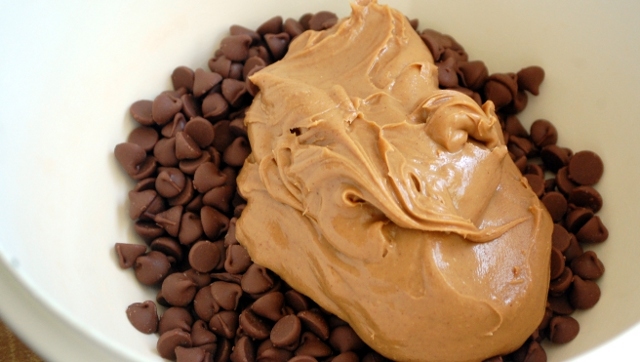 Add chocolate chips and peanut butter to microwave safe bowl and microwave for 2-3 minutes until melted. Stir. 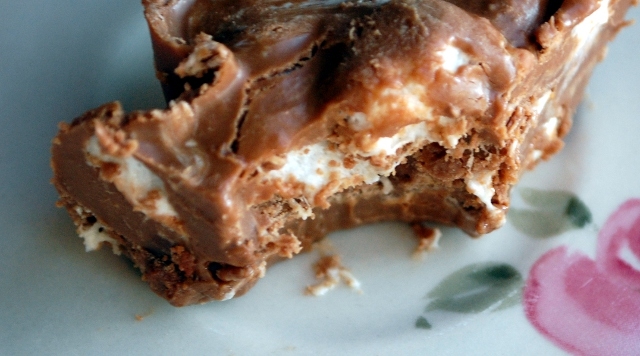 Fold in marshmallows. 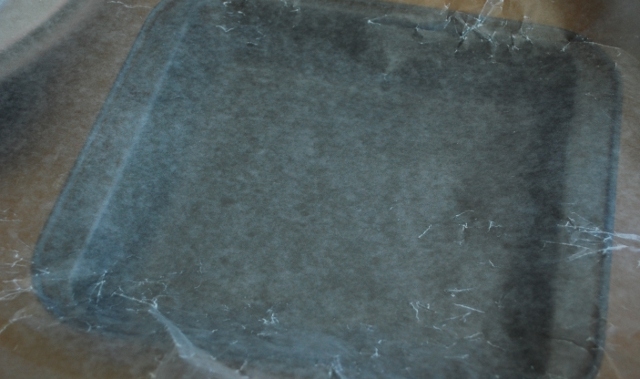 Scrape into 8×8″ pan lined with waxed paper or foil, chill until set. 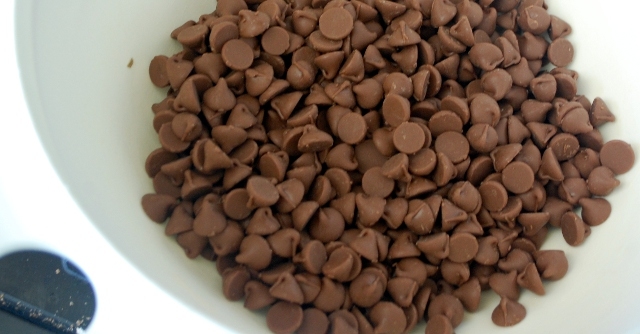 Cut into 12 pieces and enjoy. Can you hear someone say “I know what we are going to do today!”? It’s reeeeally reeeeally good. Mom, I’m thinking it might even be tasty with crunchy peanut butter, and I HATE crunchy peanut butter. That much sugar can put up with a lot of dilution before it loses its punch. These look delicious. 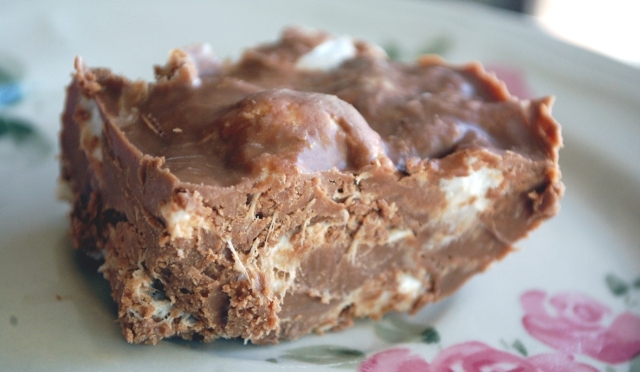 Did you use semisweet chips or milk chocolate? It would have been semisweet, but you could probably use your favorite without any problem.